At Prométour, we know that the difference between an educational adventure and a vacation. 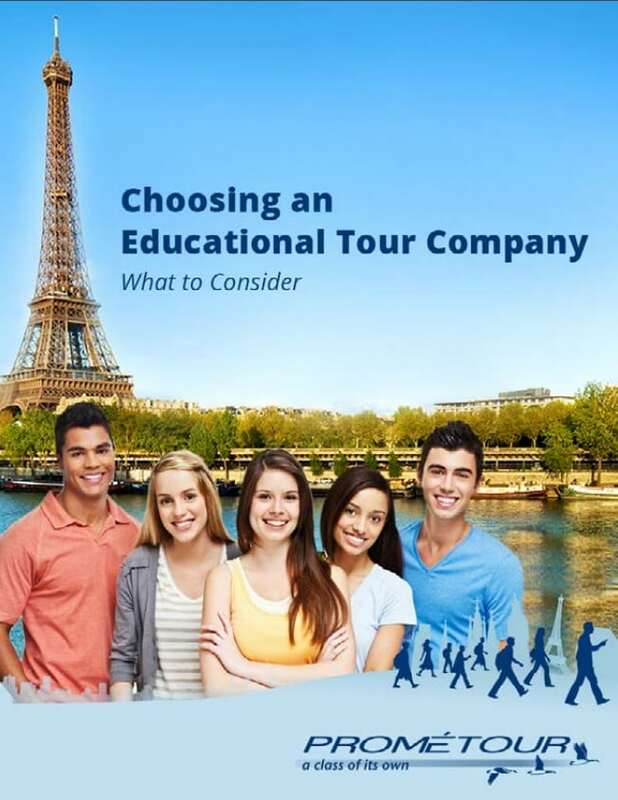 Take a few minutes and read about what you should look for in an educational travel company. This handy booklet helps you to keep all those important questions top of mind. The checklist format allows you to easily compare student travel companies as you do your research, and also to present your choice to your school’s administration. All the safety measures that should be in place for your trip. What to ask to qualify the experience of a travel agency. Understanding what’s included and not in the starting at price. Defining your objectives for student travel. Download this handy checklist to make sure you cover all your bases when researching student travel companies.